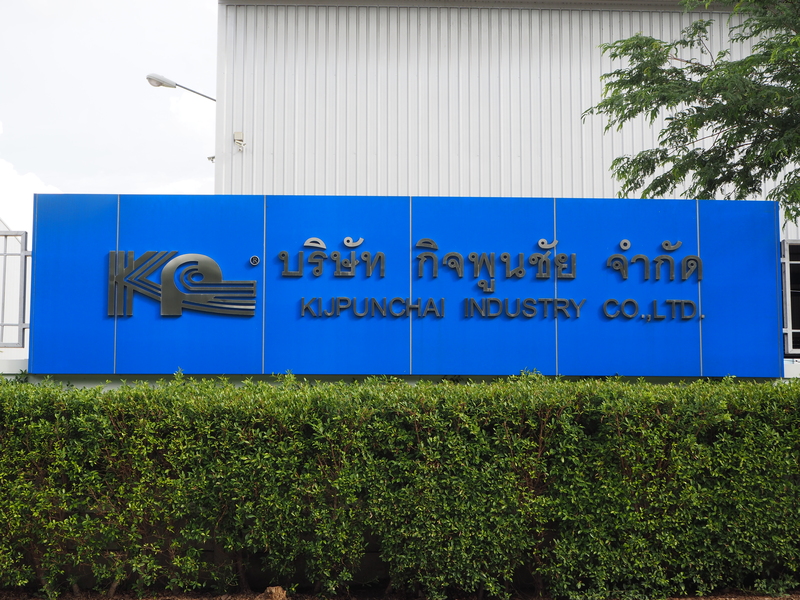 We, Kijpunchai Industry Co., Ltd. are the manufacturer of Electrical hardware and Telecommunication for guying and transmission and also the distributor for the related product. The management team and staffs of our company have devoted their time and effort in developing and modified our products which provide optimum value and meet the highest standard of quality. We have produced products for a wide range of electrical hardware for guying and transmission such as steel stranded wire, preformed product, machine bolt, nuts, clamp, connector, overhead ground wire and channel steel to serve our customer the best, We also the distributor for the related product such as cables spacer, tie wire, armour tape, compound electrical contact, LT. switch, drop out, lighting arrester, H.R.C. Fuse, insulator, cable wire, tape, pipe and etc. We normally supply to PEA, TOT, EGAT and sub-contractor in Thailand and aboard. Our products specifications are not only base on specification of PEA, TOT and EGAT but we also produce our products up to our customer’s specification. We are certified by AJA (Anglo Japanese American) for ISO 9001 which accredited by national accreditation of Thailand (NAC) and UKAS. 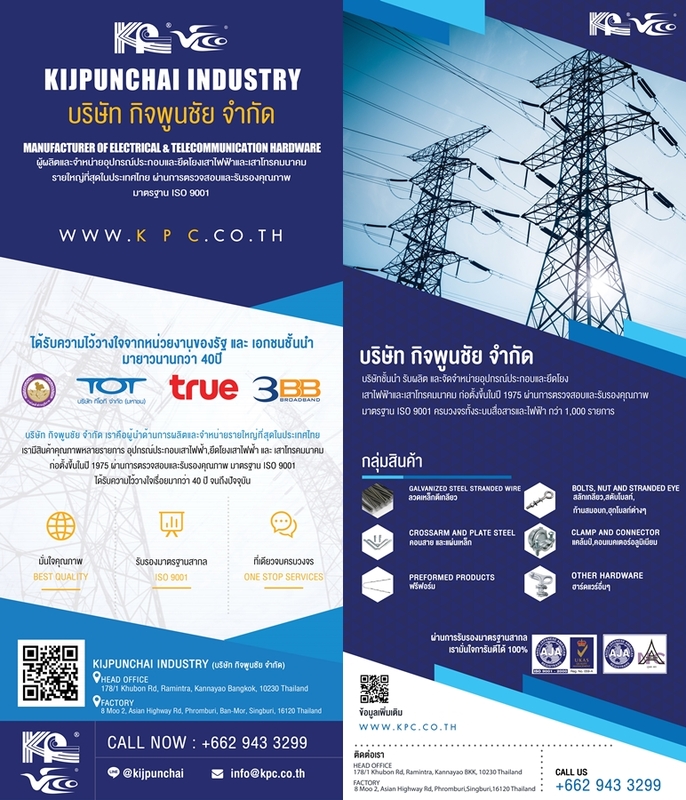 Our products are also certified by Thai industry standard. Therefore, we are the manufacturer and distributor of electrical hardware for guying and transmission you can find almost everything about what you need for electrical hardware at the same place and same time, so you can save your time and save your transportation’s cost. Why you don’t come to contact us? We will please to have a chance to do a business with you in the future.